When it comes to weddings you have enough on your mind with all the details. Dayle really knows where to step in and what to do to get that photo that you may not have thought of. The day goes by so very quickly and the memories you have will be even better with all of the photos of things you may not have seen or remember. Be sure you hire someone that knows what to capture and when to step back. This is not a do over day. Do it right the first time and thats smart advice when its Smarty Pants. She even helped us find a videographer which was the best advice ever!! Dayle is a joy to work with. She’s so professional, timely and on top of things! She was in constant contact to ensure we were comfortable with everything in the process. Dayle went to our venue the week prior to our wedding to scope out different angles and the lighting with the sunset as our ceremony and reception were outside. For our wedding, she brought a second photographer Faith, and an assistant Jordan who were very friendly, helpful, and great at their jobs as well! I can’t recommended Dayle and her team enough! She’s so affordable for what you get! Within 48 hours we had some preliminary shots and within two weeks we had our entire gallery, online and on fobs that we have. The shots were all incredible and captured the joy and love of the day! It couldn’t have gone better and we are so appreciative of the memories! Dayle with Smartypants was so easy to work with and the pictures she took of our wedding were perfect. 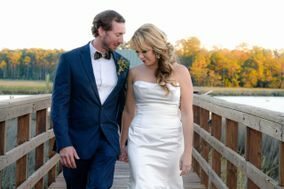 Smartypants photography captured our special day with beautiful pictures from the beginning to the end. We had so many great shots to choose from. I would highly recommend Smartypants for your wedding. They are professional, easy to work with, and very creative. Dayle takes fabulous shots that you will forever cherish. 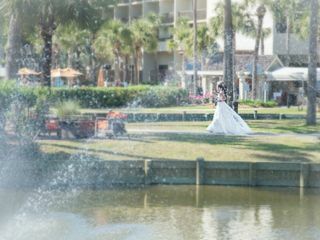 I do not live on HHI so I had been asking for recommendations, Dayle was referred to me by the person preforming our ceremony. She asked all the right questions, even when I didn't know what I was looking for in my photos. 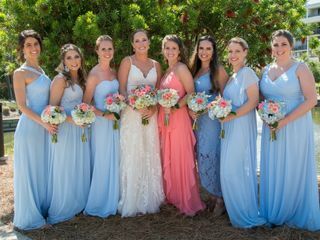 She was very responsive to all of my emails and super flexible time wise (I had to change my ceremony time due to the tide) . She was everything I was looking for in a photographer and the photos are beautiful! She captured everything everything we were hoping for and more! Dayle is now my go to photographer for everything in life, we just love her! Dayle and her son catered to our photography needs at our wedding on March 11th. Even with the cold weather they were quick and effective at capturing all of the special moments. 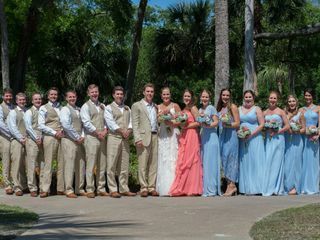 I love that she is quick to post photos both on facebook and through email to keep me and my family connected with photos of all of the special moments. It is so easy to share and I am so happy with the end results. The photos are beautiful and the moments captured forever! Thank you Dayle and Derek! CONGRATULATIONS Kim & Erik - what a wonderful day it was! 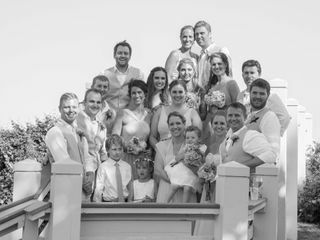 We loved working with you for your wedding and capturing so many touching and hilarious moments. I will do my best to find all the right words to share my amazing experience. I have used Smarty Pants for my family photograph's for several years and they were the natural choice for my wedding day photographer. Smarty Pants made the wedding day such a breeze for me, working in perfect harmony with all the facets of a crazy wedding schedule. I cannot Thank Dayle, and her team enough for the beautiful images, that will be our forever reminder of our special day. Dayle went above and beyond to help make our wedding amazing! My husband was in bootcamp for the Marine Corps and Dayle made sure she captured the perfect pictures. I got sneak peeks literally 3 hours after the wedding was over!! Her communication with me throughout the process was great. Definitely recommend her for your future wedding!!!! :) overly pleased with her talent, genuine care for our wedding and fast paced work. We couldn't be happier with our decision to have Dayle capture our special day. She was invaluable leading up to our wedding, arrived early, and captured moments we never would've seen. Dayle and her staff were absolutely wonderful to work with - beyond responsive and always twelve steps ahead of us. You absolutely can't go wrong. And ... If you need it, she is absolutely incredible with kids too - hands down one of the best I've ever seen. You will not regret the decision. Dayle is THE BEST!!! 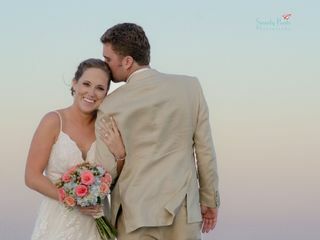 Thank you Katie - I was so honored to photograph your wedding. Not even a monsoon style storm could dampen the fun! I couldn't be happier than what we got as a a result of working with Dayle (and Derek) during our wedding weekend! We have amazing photos with a variety of backdrops, guests, lighting and mood, all of which Dayle directed with ease and confidence. The only thing I would recommend to couples is to be selective about the shots you want because posing for photos takes time and energy! What we were really happy with was that Dayle made us feel comfortable and relaxed the whole weekend, which was incredibly helpful and very much appreciated. You can't go wrong hiring Dayle - she aims to please! 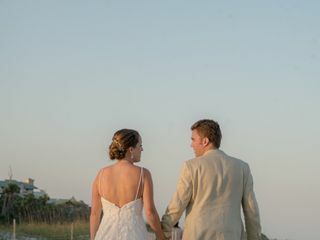 I have the most beautiful wedding pictures especially the beach photos. They were so easy to work with and I had recommended having just candid shots and so happy of how they all turned out. Thank you Janice! 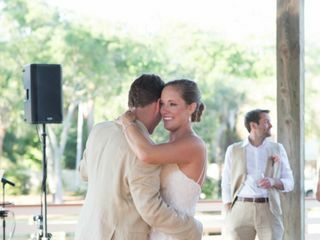 You and Timmy were so much fun on your wedding day - your love was shining bright!